Great strategy goes beyond the status quo. It turns conventional thinking on its head and reframes your perspective. Truly creative strategy can turn your weaknesses into strengths, change the game and generate revenue. The Restaurant Revenue Growth Conference has invited some legendary business thinkers who have changed the way business gets done to share their insights and ignite your strategic thinking. Sunday, May 20, 10:00 a.m.
Monday, May 21, 12:45 - 1:45 p.m.
Beane shattered traditional MLB beliefs that big payrolls equaled wins by implementing a statistical methodology that led the Oakland A's to six American League West division titles. His "Moneyball" philosophy has been adopted by organizations of all sizes, across all industries, as a way to more effectively, efficiently and profitably manage their assets, talent and resources. Monday, May 21, 3:30 - 4:30 p.m. 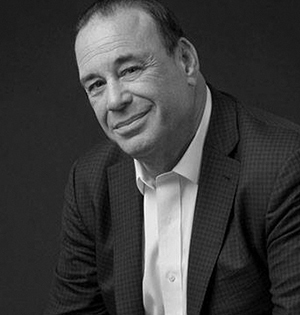 Recognized internationally as an award-winning restaurant business entrepreneur and concept developer, Jon Taffer brings three decades of hands-on experience to his action-oriented management methodology. He has consulted with thousands of properties around the world, to help hotels, restaurants, and bars reach their full potential. He has worked with brands such as Hyatt, TGI Fridays, Rainforest Café, and others. He is a two-time Bar Operator of the Year recipient and New York Times Best Selling author of his new book Don’t Bullsh*t Yourself, and a The Wall Street Journal best seller of, "Raise the Bar: An Action-Based Method for creating Maximum Customer Reactions." Fox is the CEO of Firehouse Subs. Under his leadership, the brand has grown to more than 1,100 restaurants in 44 states, Puerto Rico, Canada, and Mexico, and is recognized as one of the best franchises in the country. Fox sits on various boards of influence in the restaurant community, and is a respected speaker, commentator, and published author. In 2011, he was Nation’s Restaurant News recognized him as 2011’s Operator of the Year. In 2013, he received the prestigious Silver Plate Award from the International Food Manufacturers Association (IFMA) and was recognized by FastCasual.com as the No.1 Executive in the fast casual restaurant community. Hear Fox talk about Firehouse’s formula for growth and success. 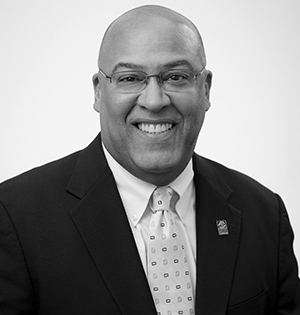 As president and founder of MFHA, an educational nonprofit organization that makes the business case for developing cultural intelligence in the workplace, Fernandez has been recognized over the years for his work in educating members on and advocating for the business benefits of cultural diversity and inclusion in the foodservice & hospitality industry. Fernandez was named twice to Nation Restaurant News’ “Power List,” most recently in 2014, and was cited as a Top Catalyst for promoting change. With over 40 years of experience in the industry, Fernandez has held several leadership positions including roles at The Waldorf-Astoria Hotel, Hemenway’s Seafood Grill & Oyster Bar, The Capital Grille and General Mills, where he got his start in diversity and inclusion work. Ho is one of the country’s top mobile marketing experts and was named one of Business Insider's Most Powerful Women in Mobile Marketing. 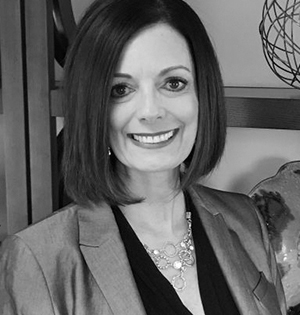 Ho brings 20 years of experience working with brands like Walmart, Dunkin' Donuts, and Taco Bell on strategic marketing and branding initiatives. 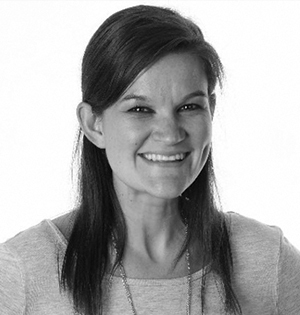 She has presented at top conferences including the Mobile Marketing Association's CMO Summit, the Coca-Cola Data Summit, and eMarketer Attention. She is a former member of the executive board of the Mobile Marketing Association and former chief marketing officer of xAd, the leading global technology platform driving in-store visits and sales by leveraging location as the primary source of intent. Ho is currently the chief marketing officer of SOCi, the leading social media marketing and reputation management platform for Multi-location businesses. Hear Ho talk about location intelligence and building audiences. 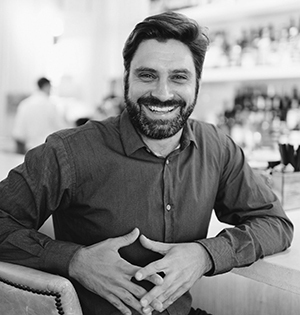 Well-respected in the wine world, Arnold is divisional wine director for Lettuce Entertain You Enterprises, a Chicago-based restaurant group with more than 120 restaurants around the nation. He oversees the wine programs at some of Lettuce’s finest restaurants. As a former supplier and distributor, he uniquely understands all facets of the wine industry and used this experience in co-founding Squire Wine Co., a platform that introduced a curated group of Californian wines to Chicago. Arnold was named "40 Under 40 Tastemaker" by Wine Enthusiast and a 2015 Star Chefs “Rising Star,” and has been featured in a range of publications such as USA Today, and Bloomberg. He combines his passion for wine with his love of cycling while participating in the annual Chefs Cycle to benefit No Kid Hungry. Archer oversees all casual- and fine-dining concepts for Houlihan’s Restaurants, Inc. 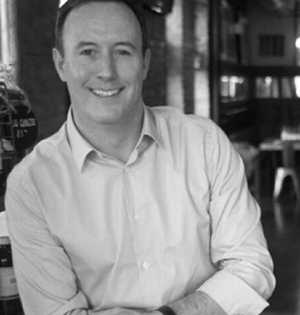 Considered one of the most effective executives in the restaurant industry, Archer has held leadership roles at several casual dining and fine dining chains including president of Applebee’s, COO of Del Frisco’s and Sullivan’s; president and COO of TGI Friday’s USA. He began his career as a manager at the original Morton’s and rose to become president of the high-end steakhouse. Archer has been recognized as one of Restaurant Hospitality's "Rising Stars," was named to the "Power 50 - The Next Generation" list by Nation's Restaurant News; and was awarded the "High Impact Restaurant Leadership Awards - Upscale Dining" by Restaurant Business. From 2012 to 2017, Bakker led Google’s food program, supporting all food-service related activities and initiatives for Google’s global community. Currently, he leads workplace programs and services dedicated to enabling Google and Googlers to thrive, including food, transportation, events, sustainability, and fitness and well-being. Before joining Google, Bakker spent 17 years with Starwood Hotels & Resorts Worldwide Inc. in various roles. 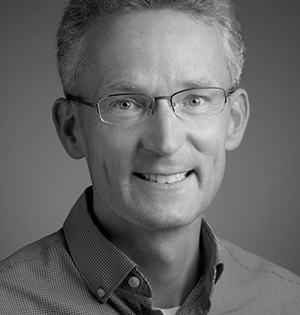 Bakker is involved with several organizations focused on the intersection of food, health, and sustainability such as the Culinary Institute of America’s Menus of Change Business Leadership Council; the EAT Forum Advisory Board; and the Yale School of Management Center for Customer Insights' Advisory Board. 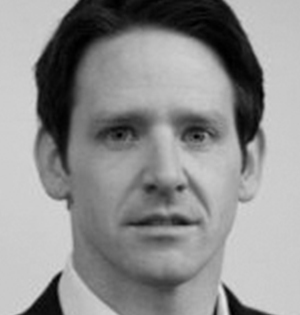 Brannon has 13 years of experience in market research and insights in the consumer packaged goods industry. In her ten years with The Coca-Cola Company, she has supported teams across the organization including portfolio strategy, multicultural marketing, shopper insights, digital, and foodservice. Today, she leads research and insights support for Coca-Cola’s foodservice organization and delivers value to customers through an understanding of the trends impacting the industry, consumers, occasions, and beverages. 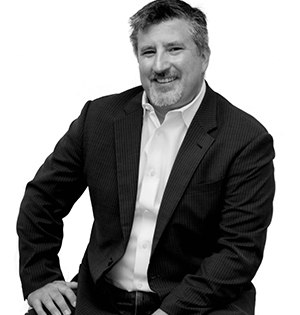 Brannon has also been a featured speaker at both foodservice industry and market research events. She holds a Bachelor’s of Science degree in management from the Georgia Institute of Technology. Butler has led recent disruptions in the meal kit industry, including launching the first retail meal kits, innovating the CPG partnership model now used throughout the industry, and developing the first outsourced fulfillment model in the industry. Prior to joining Chef’d Butler co-founded the high-tech foodservice company LeanBox that allows employers to offer healthy, fresh beverages and snacks, do real-time inventory management, and simplify their foodservice. Brown is an industry expert, author and trainer who has inspired executives, hospitality managers and front-line employees in more than 20 countries. His practical and tactical approaches improve guest service, market position and leadership skills, boost employee morale and retention, and increase sales. Industry leaders such as Marriott, Disney, Waldorf Astoria, Hilton, Jumeriah, Nordstrom, Ritz Carlton, Viceroy, Morton's of Chicago, Olive Garden and Red Lobster have sought his consulting and incorporated his strategies into their cultures. His best-selling Little Brown Book of Restaurant Success is frequently quoted in The Wall Street Journal, The New York Times and The Washington Post. Since he started waiting tables at age 14, Canter has worked every role at the restaurant his great-grandfather opened in 1931, Canter’s Deli. When he noticed decreasing walk-in customers, he sought new revenue streams, introducing online ordering and delivery. Immediately he noted the confusion for staff and diners caused by having multiple ordering systems, each with its own device. To solve this, for Canter’s and all restaurants, Canter founded Ordermark in 2017, with the goal of bringing 200+ online ordering companies into a single tablet and printer. A fourth-generation restaurateur, he brings industry and entrepreneurial know-how to solving a critical problem. 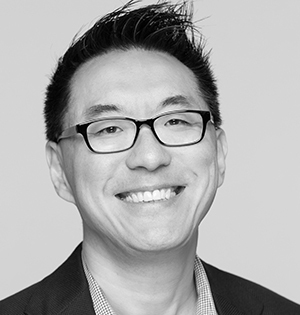 Chan joined Jefferies in 2011, and left after four years before returning to the firm in late 2017 to focus on restaurant technologies and alternative data. In the interim, she worked at Blue Bottle Coffee, during which time the company expanded from 15 locations to 43, and ultimately saw Nestle acquire a majority stake. 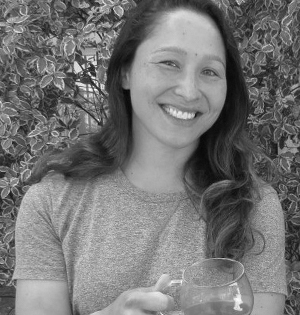 She served variously as Blue Bottle's first director of finance and strategy, regional director of retail, Northern California and finally, as a retail area leader. 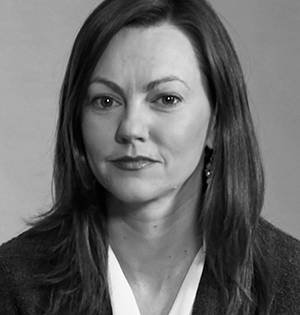 Prior to Jefferies, she worked at Signal Hill Capital, first in investment banking and later in equity research covering the education and internet infrastructure sectors. Childs has over 16 years of experience in the restaurant and event planning industry, 13 years of which have been dedicated to fast-casual catering. As boloco’s director of catering, she developed the catering program from the ground up and currently oversees all aspects of the program, including sales, marketing, and operations. Prior to joining boloco Erin held senior catering roles for Sebastian's and Fresh Concepts in Boston. Fromm is one of nation's leading authorities on millennials and how to market to them. As president of the marketing consultancy FutureCast, he has spear-headed some of the most cutting-edge research in the last ten years on the millennial mindset and the dramatic financial influence they have on baby boomers and Gen Xers. As a speaker, he goes beyond theory, showing companies the best practices for winning and keeping millennial allegiance. 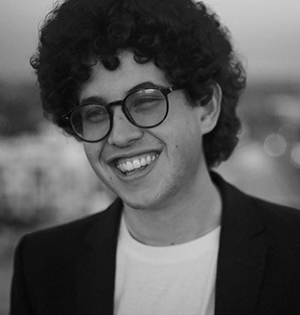 Fromm is a contributing writer at Forbes.com, a frequent speaker on marketing, consumer trends, and brand innovation, and has been invited to deliver more than 500 keynote talks around the world. He is the co-author of the best-selling books Marketing to Millennials and Millennials with Kids. His third and most recent book, Marketing to Gen Z, explores the values and mindset of millennials' successors—the socially-conscious cohort that grew up during the Great Recession and will comprise an estimated 40% of consumers by 2020. Learn more about Fromm. 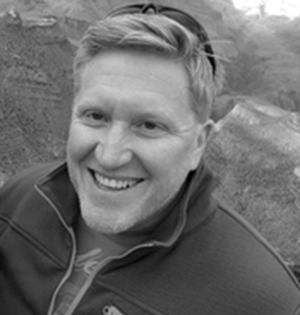 Fitzgerald is senior director, Sysco Ventures and Menu Services and is an expert in menu design and engineering. She is responsible for leading and driving out menu services to all Sysco customers, enabling them to grow and connect with their guests. 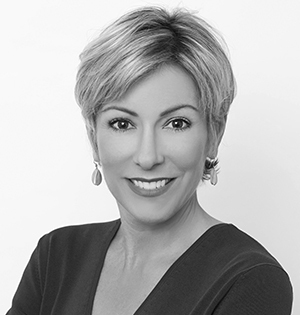 Prior to this, Dawn held various leadership roles during her nearly 20-year tenure with Sysco in addition to Shell Oil, BMC Software, and Kraft Foods. Golinvaux co-founded Lillie's Q Sauces & Rubs in 2014 with Charlie McKenna. Sold in more than 6,000 stores in the U.S., Lillie’s Q is the fastest growing premium BBQ sauce in the country. He continues to lead innovations that are growing the brand, including building out foodservice programs for all Lillie’s Q products, expanding distribution to Australia, Europe, and the Caribbean, and launching products in multiple categories. 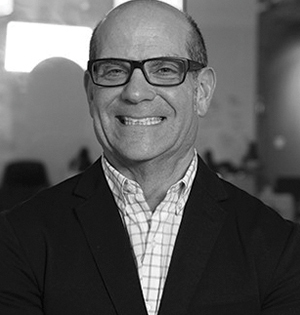 Golinvaux began his career in advertising, leading campaigns for national brands at CBS and Univision. Hofstad has an expertise in creating commodity risk management solutions, specifically developing and implementing exchanged-based and OTC hedging instruments. At Cargill Risk Management, he specializes in grains, oilseeds, softs, and dairy markets, providing solutions to North American customers in the food industry. He was previously vice president of Black Sea / CIS with INTL FC Stone, focused on providing risk management solutions and guidance to customers in grains and oilseeds in the markets of Russia, Ukraine, Turkey, Romania and Bulgaria. 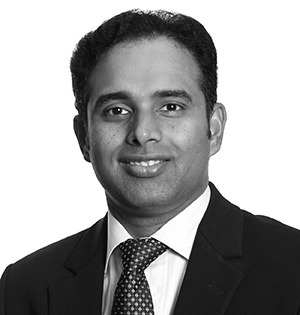 Jadhav leads the market mapping capability at GP Pro and is responsible for market sizing, market trending, and POV work. He came to GP Pro with more than a decade of using his approach to research and market insights to inform successful business and marketing decisions for the world's leading CPG, food, and beverage companies, including Hellmann's, Vaseline, Dove, Heineken, and Axe. King became global risk services lead in October 2016 when Cargill transformed their nine regional oils business units into one global group. 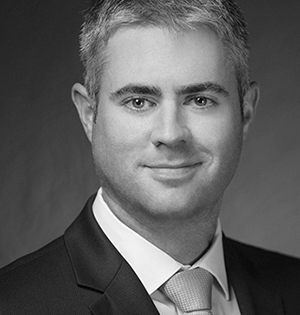 Previously, he served as the senior risk manager for the North American oils business. Preceding that he was on expat assignment with Cargill’s cocoa and chocolate business in Amsterdam after ten years of learning the discipline with Cargill risk management’s investor based products team based in Chicago and Minneapolis. Kurkjian is the Senior Director of Off-Premise Dining for Fiesta Restaurant Group and leads the company's off-premise business for their Miami-based Pollo Tropical and San Antonio-based Taco Cabana brands. 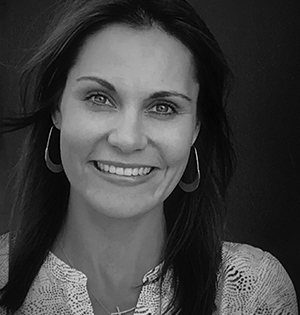 In her 16 years of off-premise experience, she has defined the catering strategy for three national brands, writing operational playbooks, systems and processes, and creating high performing sales teams. She is currently serving a one-year term on the Catering Council for Multi-Unit Restaurant Operators (CCMURO). Prior to joining Fiesta Restaurant Group, Kurkjian was national director of catering and backline sales for Potbelly Sandwich Works, director of catering for Qdoba Mexican Eats, and senior Director of field sales at Boston Market Corporation. Landsberg is a senior executive with 25 years of leadership in marketing, advertising, digital, technology, and data-enabled marketing services. Named one of this year’s Digital 40 over 40, Landsberg is the CEO of SocialDeviant, a content marketing agency dedicated to creating value for brands in a socially connected world. 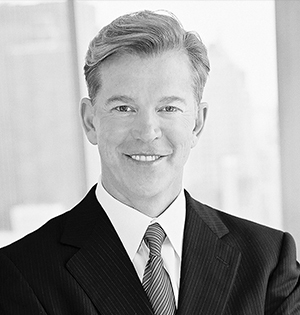 He is the former CEO of two global advertising agencies (Arc and MRM) and has worked with clients such as MillerCoors, General Mills, P&G, and Disney. Hear Landsberg talk about digital creativity. Mason oversees Dine Global’s Dine Research Institute, guest relations, publishing services, and global communications. 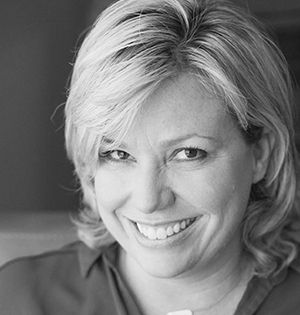 Her 20+ years in strategic marketing and communications include serving as chief public affairs officer for Yum! Brands and Taco Bell where she contributed to a brand revival through the development of a distinct and compelling digital and social brand personality. 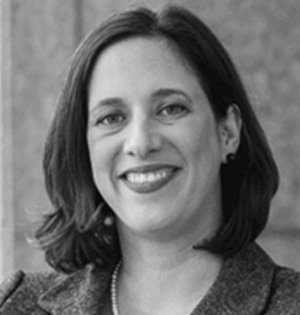 In her 10 years at Edelman, she held several leadership roles including co-chair for global public affairs as well as global client relationship manager for Starbucks. She also co-developed Edelman’s digital entertainment rights & technology practice, working with such clients as Starbucks Entertainment, Microsoft, Netflix, and Warner Bros. Home Video. McKenna is the chef and owner of Southern Revival Hospitality, a restaurant group which includes Lillie’s Q. After gaining recognition for the award-winning sauces he was serving in the restaurant, McKenna began bottling them. Today, Lillie’s Q Sauces & Rubs is a nationally and internationally recognized brand distributed in over 2,500 stores across the country as well as Canada, Europe, Australia, and New Zealand. In addition to the classics (Smoky, Hot Smoky, Carolina, E.N.C., Ivory, Carolina Gold, Hot Mess, and Hot Pepper Vinegar), every few months McKenna creates a limited-edition bourbon-barrel aged sauce that takes BBQ to a whole new level. Pak has been creating breakthrough, award-winning work across all media for more than 20 years. He is well-known in the industry for generating big ideas that focus on creativity, usability, and measurability. Pak has held top creative posts at Sparks Grove, USWeb/CKS, Studiocom, Voltage Factory, Modem Media/DIGITAS, and TribalDDB. In 2013, Pak was the first creative professional to be recognized with a Silver Stevie Award for Executive of the Year. Other accolades include the ADDY’s Best of Show, AIGA SEED Awards, and CA Advertising Annual. His notable client experience includes companies such as The Coca-Cola Company, Intercontinental Hotels Group, Kodak, American Express, Delta Air Lines, and AT&T. Parker has more than twenty years in the hospitality industry, most recently leading marketing and catering strategy for the international brand, Jamba Juice. From 2013 to 2016, Parker led the incredibly successful growth initiative for Zoës Kitchen catering efforts, building, training, and leading a national sales team that increased catering revenue from $11M to $49M within three years. At Jamba Juice, she implemented transformational initiatives intended to deliver similar growth. 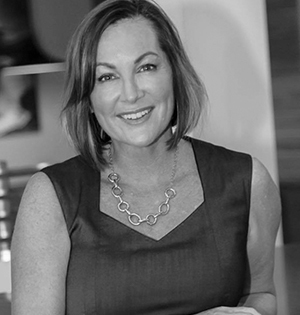 Currently, Parker formed her own company Impact Brands, whose mission is to leave a lasting impact on top and bottom lines, and position brands for long-term success. Rand has served in multiple operations leadership roles over the past three decades. Early in his career, his hands-on experiences with Au Bon Pain, Einstein’s, and Metromedia Restaurant Group gave him insight into the day-to-day challenges of operating multi-unit restaurants in start-up, franchise, and turn-around environments. 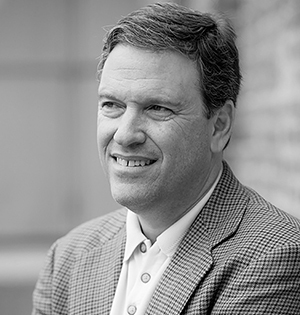 From 2000 to 2016 Rand worked with Panera Bread where he built and led a team that successfully opened and operated 27 Panera Bread Bakery Cafes. He later led lead strategic and tactical catering initiatives at Panera LLC.. Rand joined P.F. Chang’s in 2016, where he developed and implemented a catering program and led the operations initiatives for all off-premises dining, including takeout and third-party delivery. 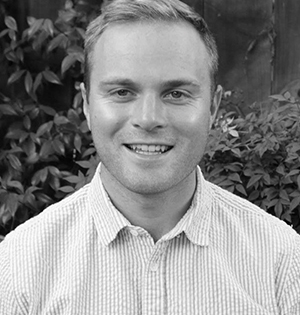 Most recently, he joined ezCater where he helps provide solutions to help restaurants grow their catering businesses. Ruiz, director of Hispanic Insights at Mintel, has over 14 years of experience analyzing the U.S. Hispanic and Latin American markets. At Mintel his responsibilities include helping internal and external clients understand the growing Hispanic market in the context of their categories. In addition to his research background, Ruiz’s first-hand experience moving from his native Bolivia to the U.S. allows him to bring an intimate perspective when analyzing research results. 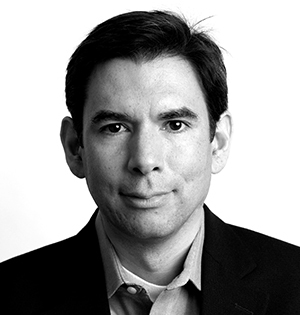 Prior to joining Mintel, Ruiz was research director at C+R Research’s Hispanic practice, LatinoEyes. Earlier in his career, he held research positions at Synovate Diversity and Synovate Latin America as well as marketing positions at Cerveceria Boliviana Nacional in La Paz, Bolivia. 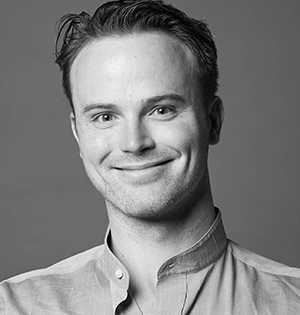 Sandland is chief operating officer at Kitchen United, a startup focused on increasing dining options for consumers through delivery-optimized commercial kitchen space that empowers restaurants to efficiently locate closer to their consumers. Prior to Kitchen United, Sandland served as chief development officer for Taco Bell, a division of Yum! Brands, where she added more than $1 billion in sales to the system through the addition of 1,000 restaurants. 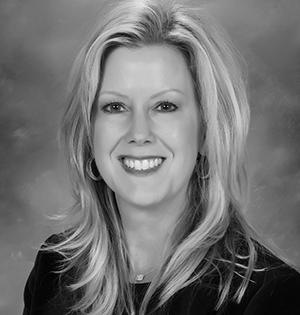 During her tenure at Taco Bell, Sandland’s held positions responsible for overall corporate strategy, strategic projects, and new product launches, including the Doritos Locos Taco and breakfast. 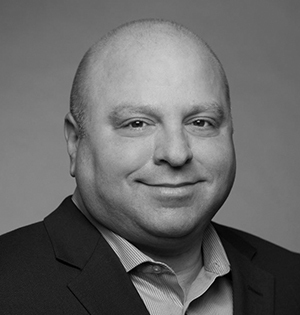 Senior Vice President, Industry Relations, The NPD Group, Inc.
Solochek brings nearly three decades of experience in the food and foodservice industries, to his role at The NPD Group. 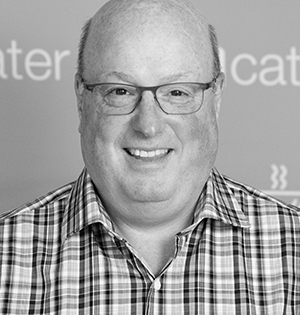 He manages NPD’s portfolio of ongoing foodservice research services, leading a team that provides trends, performance indicators, market sizing, and receipt mining—with unique information and insights that span the entire supply chain, from manufacturers to distributors to foodservice operators. A respected industry expert, Solocheck speaks often at major foodservice events, including the International Foodservice Manufacturers Association executive conference (COEX), Restaurant Leadership Conference, Nation’s Restaurant News’ MUFSO annual conference, the National Association of Convenience Stores Annual Convention, and the CHEERS and VIBE Beverage Conferences. 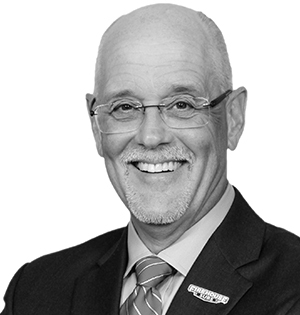 Stuckey is president and chief innovation officer of Mattson, the country’s largest independent developer of foods and beverages for the chain restaurant and retail foods industries. Stuckey is a recognized industry thought leader and expert in taste, food trends, innovation, consumer insights and product development. She has been invited to speak at such events and place as the TED Conference, the Research Chefs Association, the California Commonwealth Club, the Institute of Food Technologists, the Food Marketing Institute, Authors@Google, and the James Beard House. She writes about the food business and food trends for Forbes.com and has written for or been featured by a range of media including the National Geographic Channel, NOVA on PBS, The New Yorker magazine, Salon, the San Francisco Chronicle, The Wall Street Journal, and more. Hear Stuckey’s TED talk on umami. Stutz leads management teams overseeing the operational performance of more than 500 Red Robin restaurants across the United States and Canada, including Burger Works and franchise locations. Before Red Robin, she served as president of McAlister’s Deli. 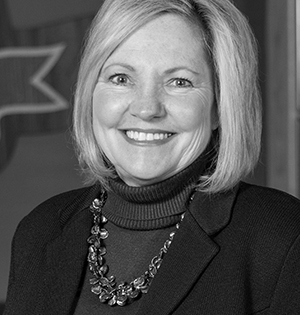 In her 30-year career Stutz has held operations leadership roles for leading brands including Chili’s, Applebee’s, Cosi, and Wendy’s. She currently serves on the National Restaurant Association's Fast Casual Industry Council Steering Committee and is a national judge for the National Restaurant Association Education Foundation's ProStart program. She also is a past board chairperson of the Women’s Foodservice Forum. As editor-in-chief is responsible for driving editorial innovations across all of NRN’s platforms, including the print magazine, digital properties, and MUFSO summit for restaurant executives. She also serves as editorial director the sister publication, Restaurant Hospitality. 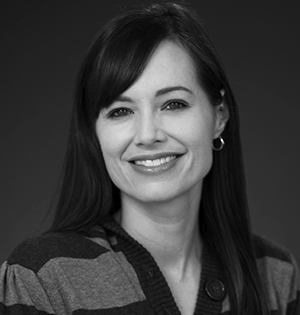 Telesca has been with Penton’s Food and Restaurant Group since 2010, where, as content director and executive director, she led efforts to connect the bureau chiefs across the country and improved the speed and quality of breaking news and analysis. 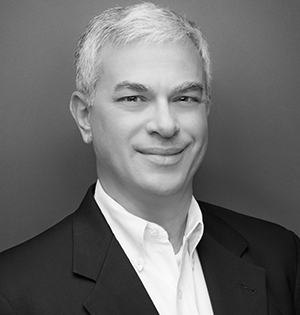 Tristano is one of the nation’s foremost foodservice industry experts and former CEO of Technomic, a global research, insights, and strategic consulting firm. Executives as well as consumer and trade media (including The New York Times, Restaurant Business, and Nation's Restaurant News) seek out Tristano's critical market intelligence on consumer and market trends and restaurant chain and concept growth. Tristano is currently the CEO of CHD-Expert, a firm that collects, analyzes, and manages foodservice and hospitality data to help businesses win in this fragmented and fast-moving industry. Hear Tristano on fast casual evolution, IPOs and QSR+. Vigilante has spent the past five years working in the consumer products space, primarily focused on food and beverage start-ups. 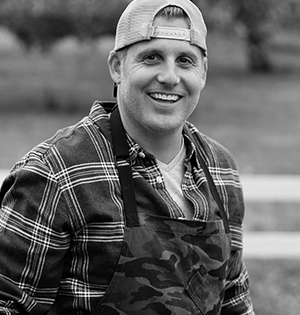 Since joining Chef’d in November 2017, he has focused on creating strategic partnerships that leverage Chef'd's unique fulfillment capabilities, giving partners the opportunity to develop "shoppable recipes" that are sold online and through brick-and-mortar retailers like Costco and Target. Prior to Chef'd, Steven was a senior associate at CircleUp Growth Partners (CGP), the direct investment arm of CircleUp. Steven graduated from Penn State University with a BS in finance and economics.